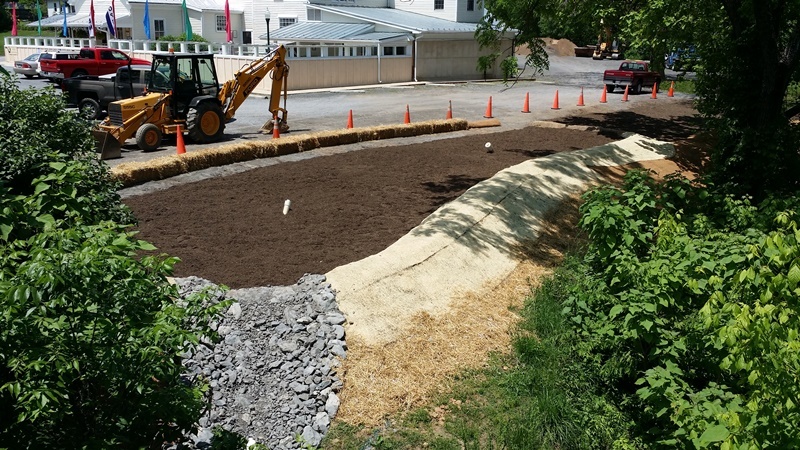 Edinburg Mill Streambank & Bio-Retention Project is a stormwater project done for the Town of Edinburg in Virginia. Bushong Contracting Corporation, Town of Edinburg, Friends of the North Fork of the Shenandoah River, Virginia Department of Game & Inland Fisheries, Center for Watershed Protection, and Chesapeake Bay Trust. 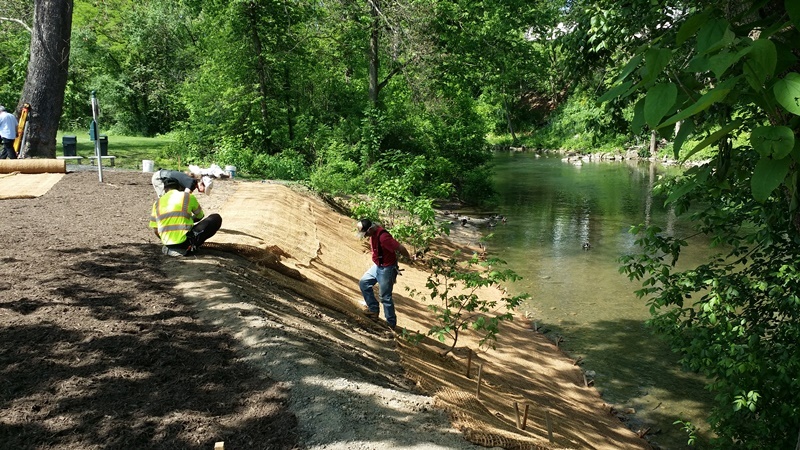 This project was for the restoration of Stony Creek Stream Bank, by the Edinburg Mill in Edinburg VA. 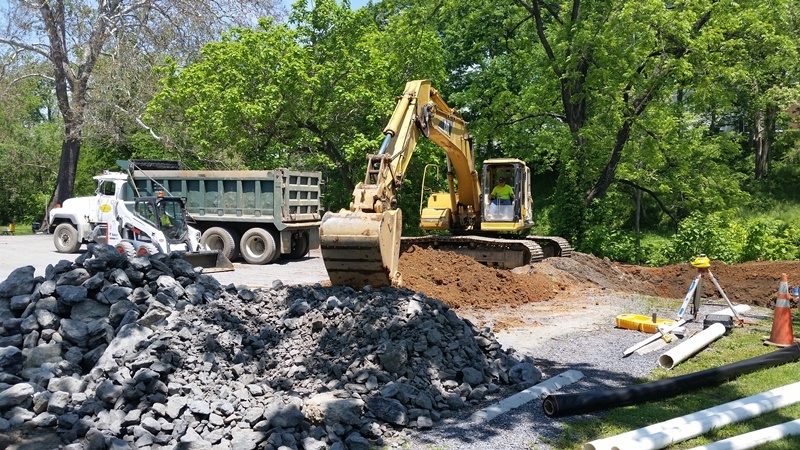 This included the installation of Bio-retention cells to prevent further damage from stormwater runoff coming off the parking lot and into stony creek. 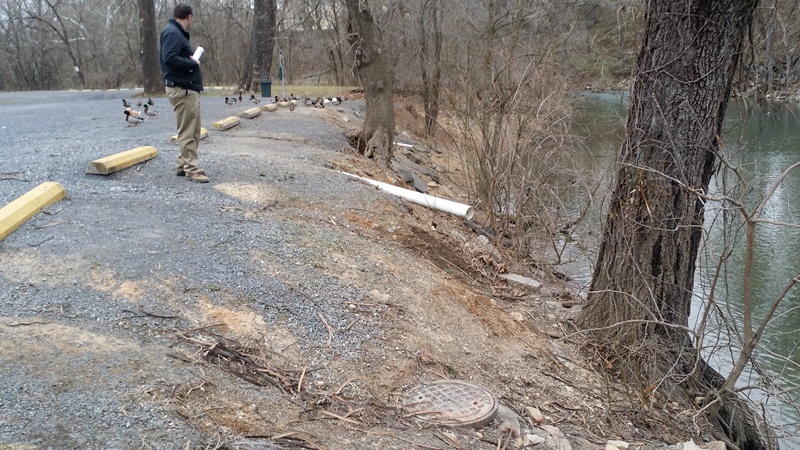 The first task was removing parking lot debris, like concrete and asphalt chunks, littering the stream bank. 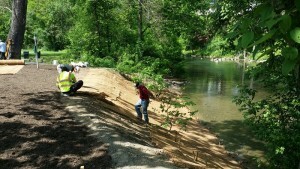 We cleaned and re-graded the streambank. Afterwards volunteers staked down coconut matting in order to prevent future erosion. 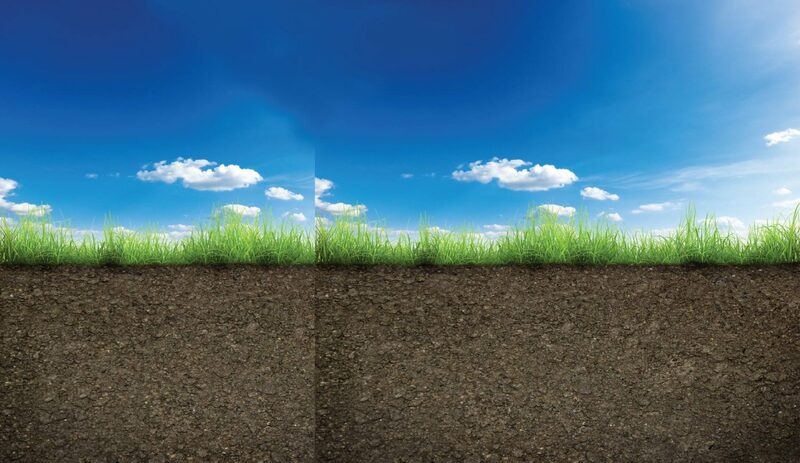 This also allowed for the growth of vegetation. Finally, 3 cells were excavated which all drained to the third cell. The Third cell was a combination of underdrains, stone, bio-media and mulch. This creates the bio-retention area. 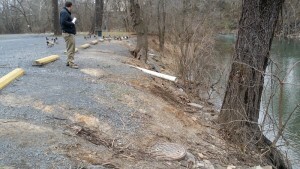 The underdrain then carries the filter water to the riprap outlet that spills into stoney creek. Installation of vegetation will complete the bio-retention project. A special thanks to Louise Finger from the VA Department of Game and Inland Fisheries, Dan Harshman, the rest of the Town of Edinburg Maintenance Department for their active role throughout the project. Please swing by the Edinburg Mill and take a look!